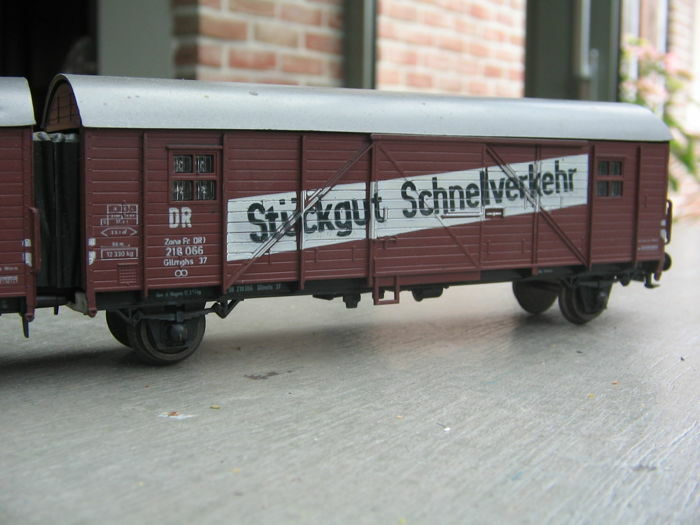 Roco H0 - 4363/4329 - Freight cars of the DR (DDR). 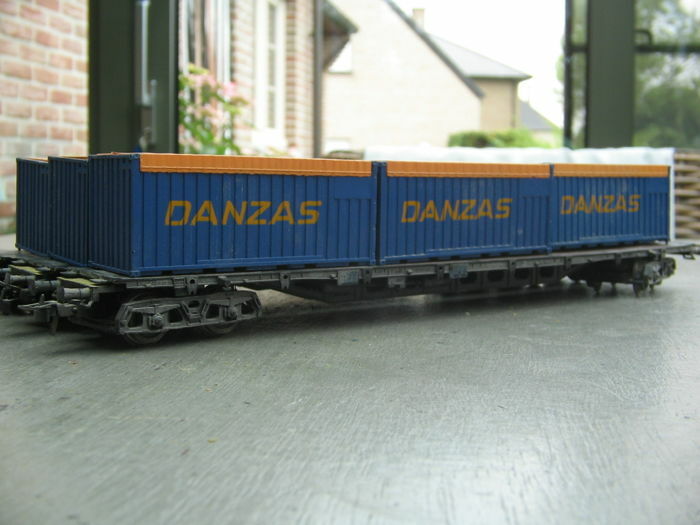 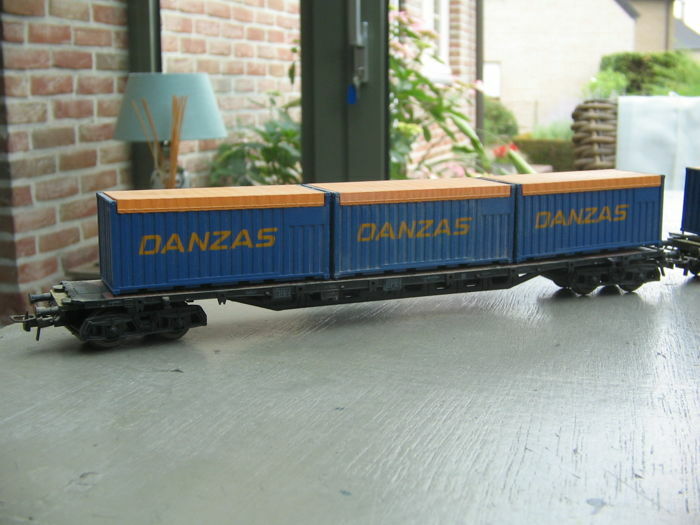 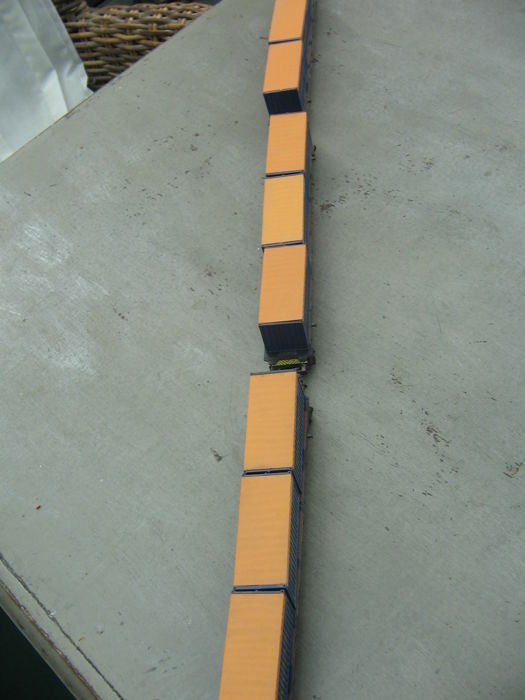 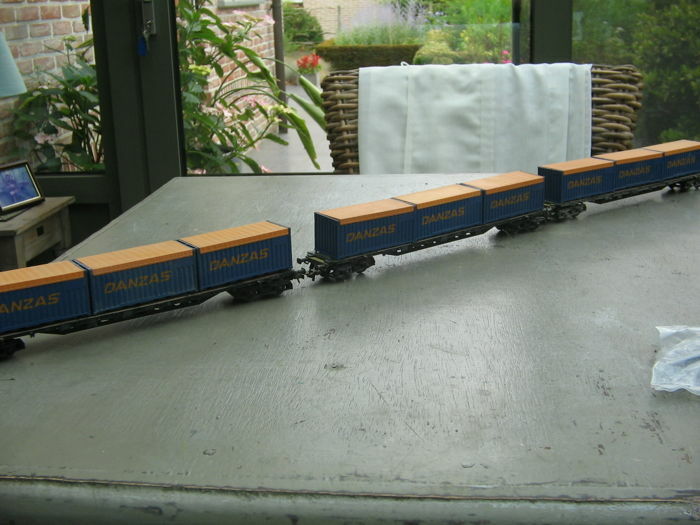 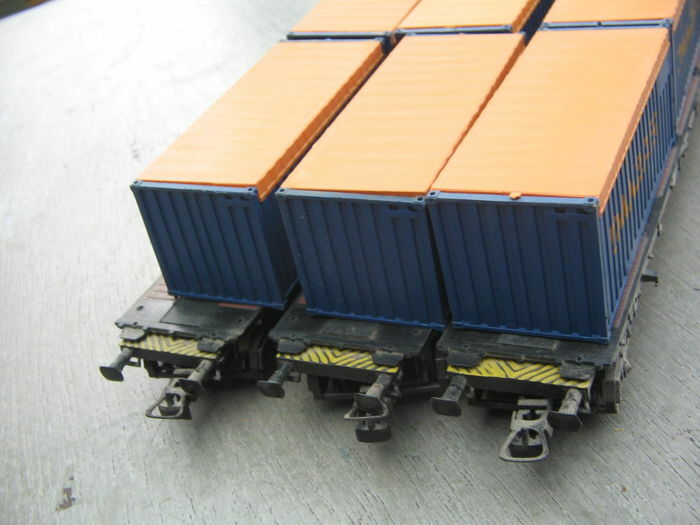 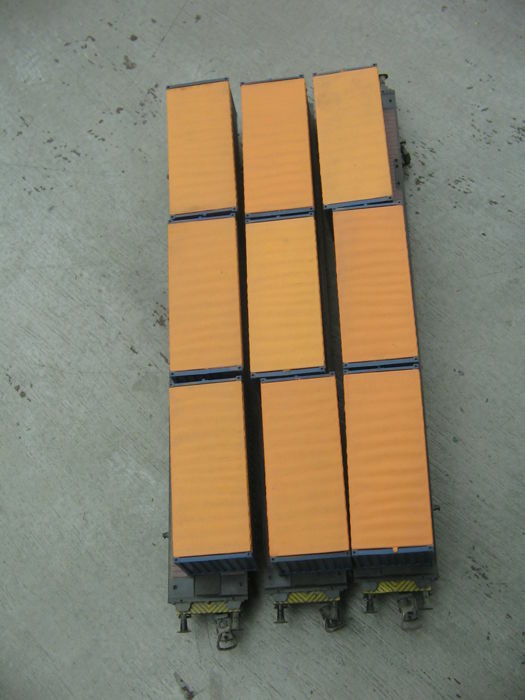 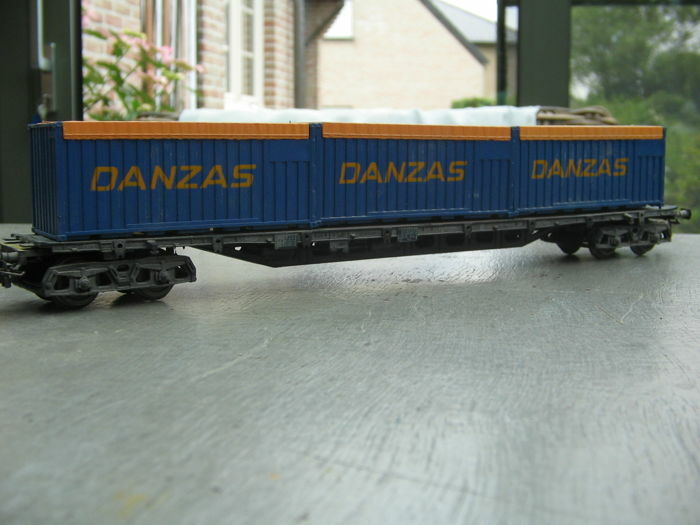 3 x 4363 Container carrier freight cars each with 3 Danzas containers. 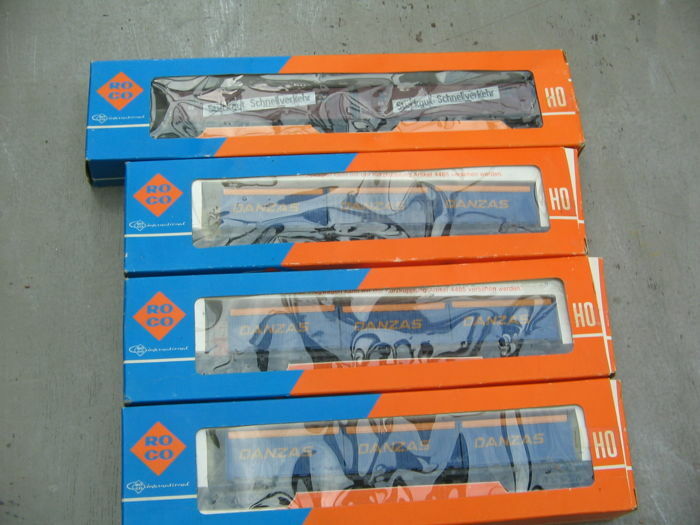 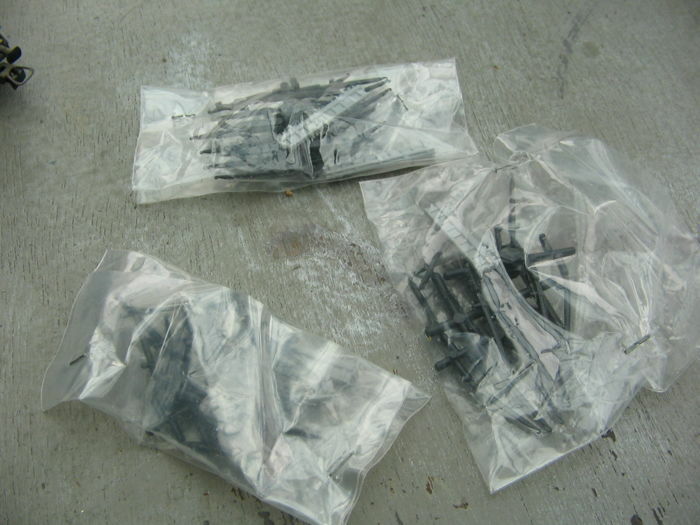 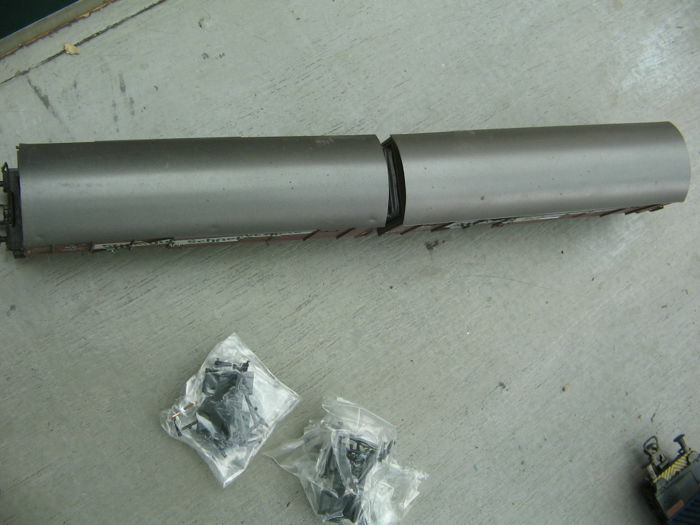 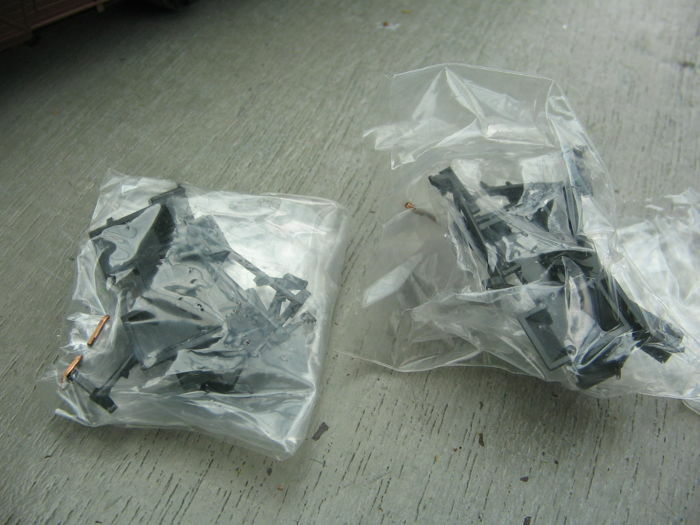 With extra components in sealed packaging. 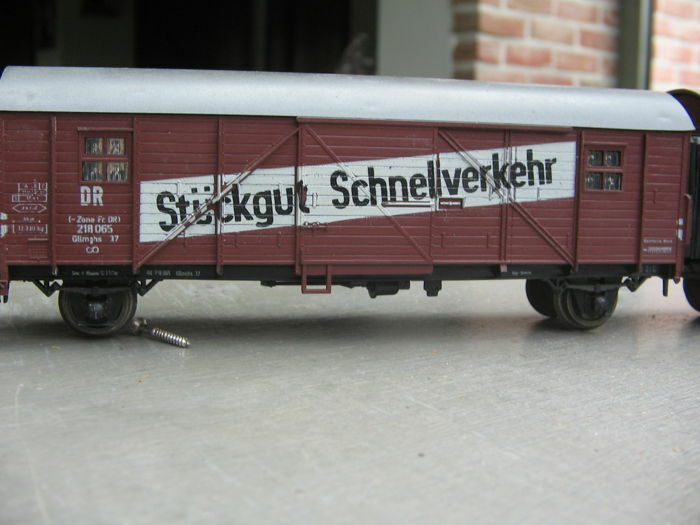 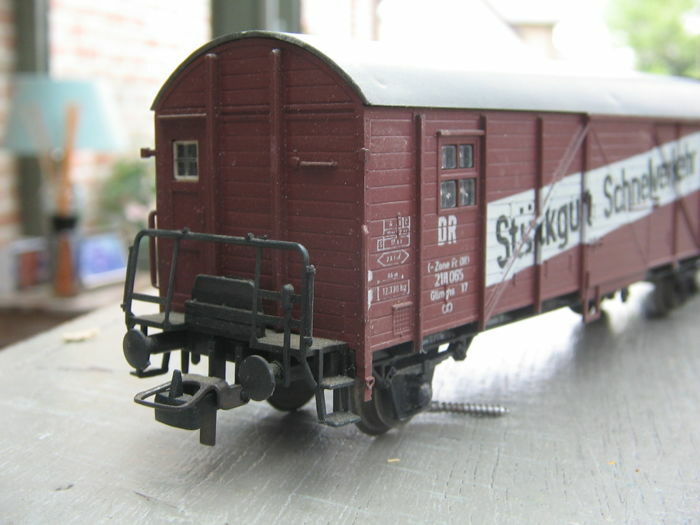 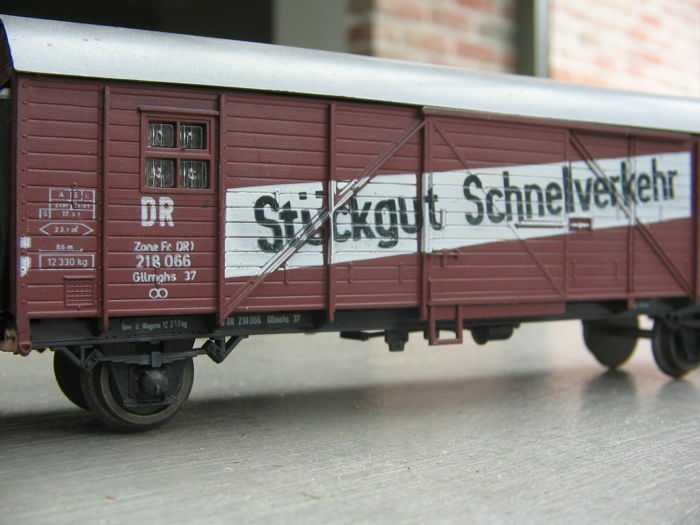 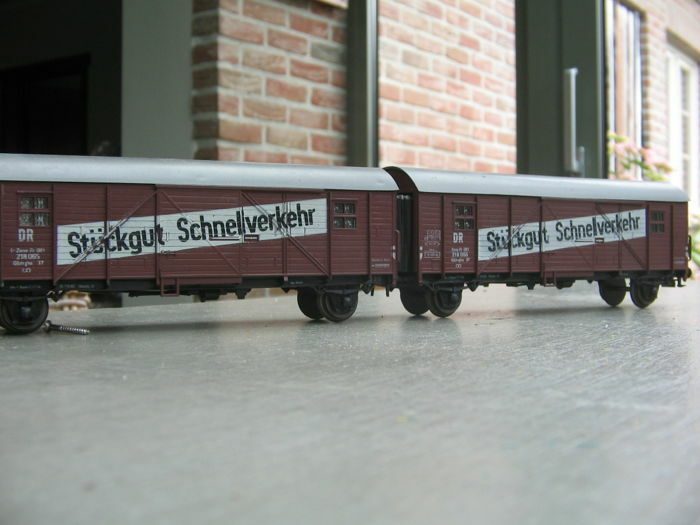 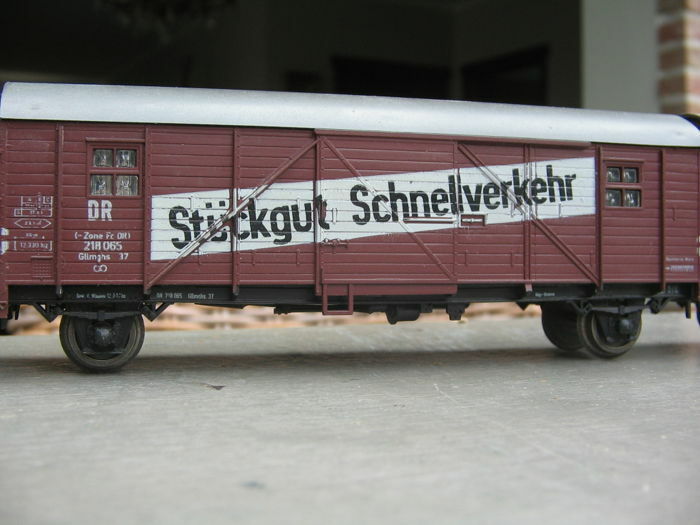 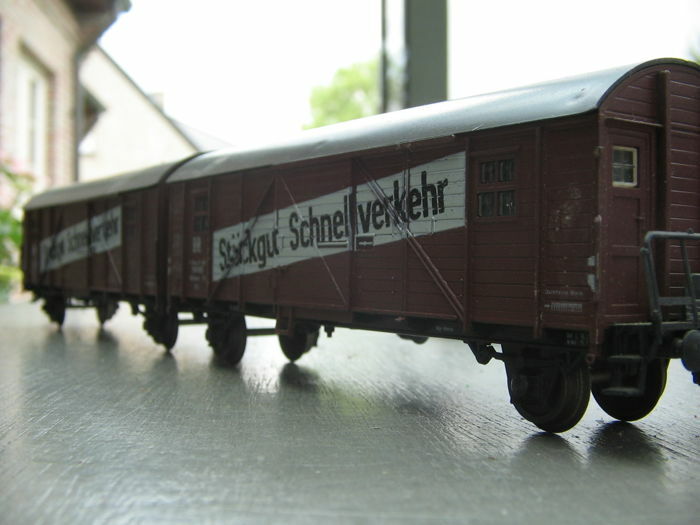 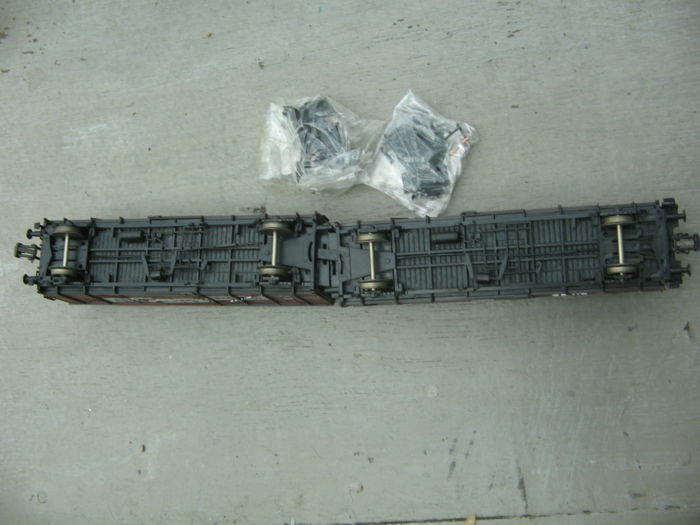 1 x 4329 Freight car - Stuckgut express cargo. 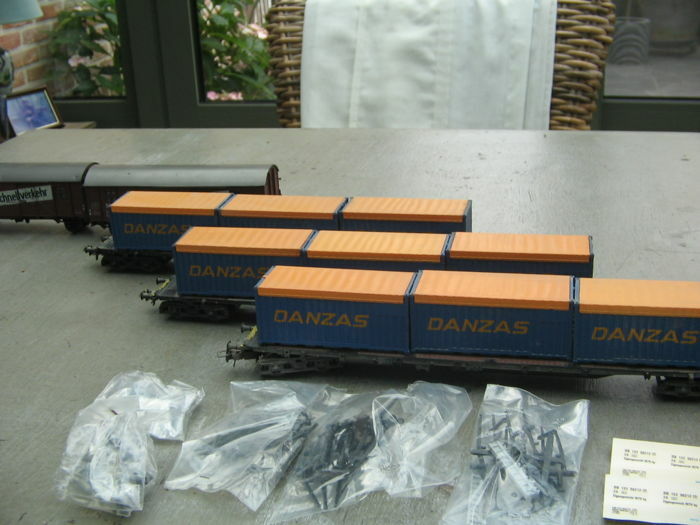 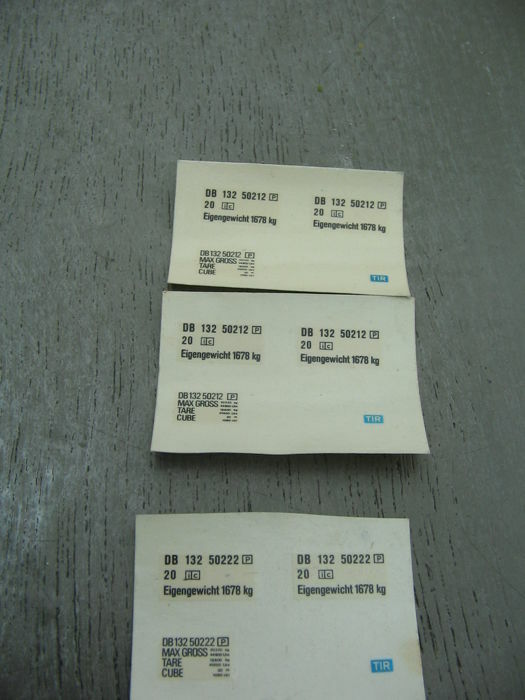 various small components are delivered together with these cars. 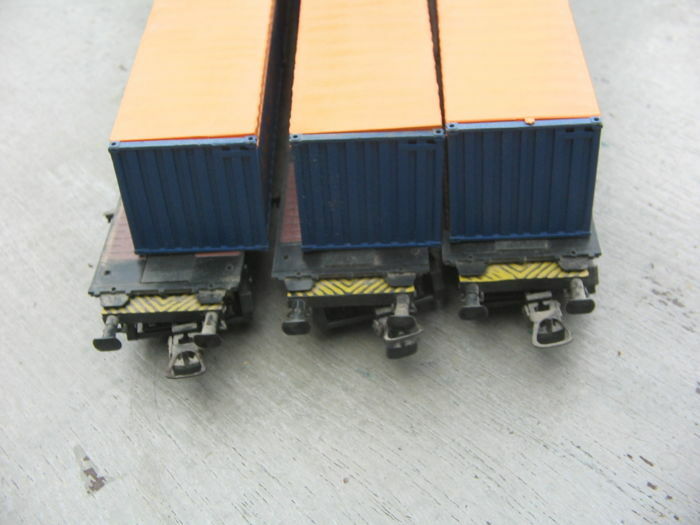 There are close couplings between pairs of freight cars. 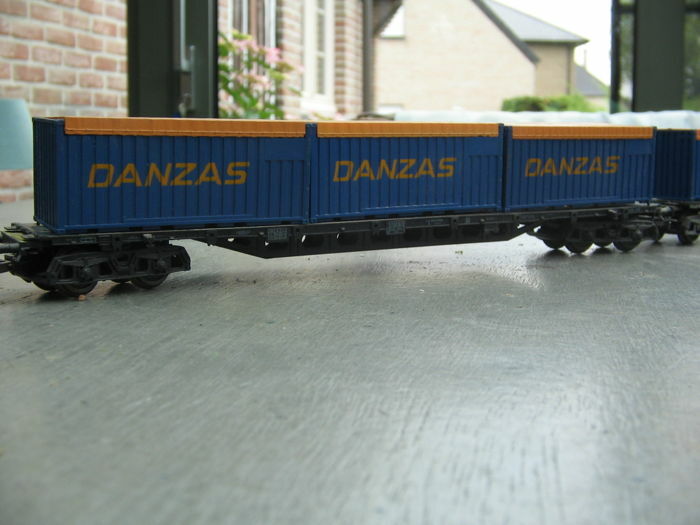 The freight cars have been played with ans as such surface rust may be present on metal parts. 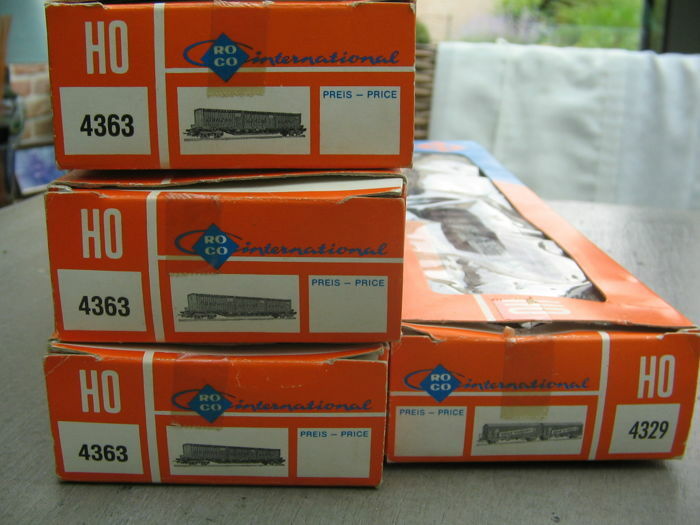 These have been in storage for some considerable time and will need to be thoroughly cleaned.